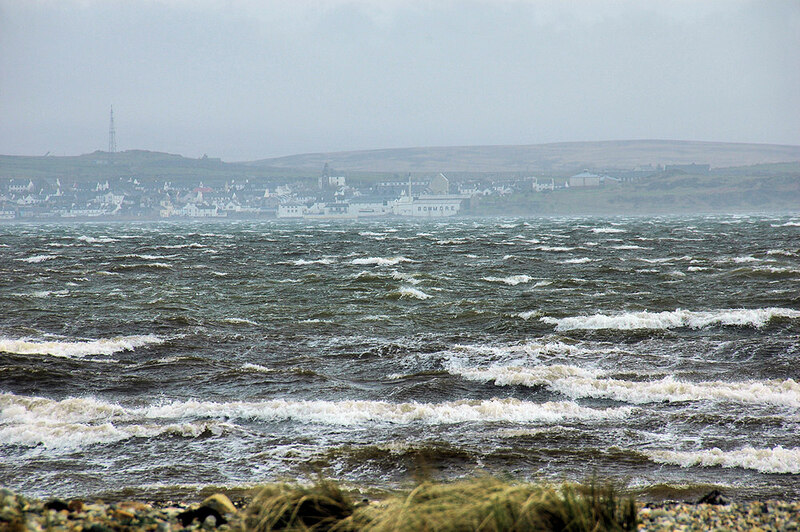 It was a rather rough and windy day on Islay when I took this picture. The water in Loch Indaal was quite choppy and Bowmore with the distillery was only just visible through the rain and spray. This entry was posted in Cloudy Weather, Distilleries, Repost, Sea Loch, Village and tagged Bowmore, Islay, Loch Indaal by Armin Grewe. Bookmark the permalink.